Welcome to the winter edition of the OA Newsletter. The Outdoor Action Program (OA) offers trips and courses throughout the academic year to Princeton undergraduate and graduate students, faculty, and staff in a variety of outdoor activities. 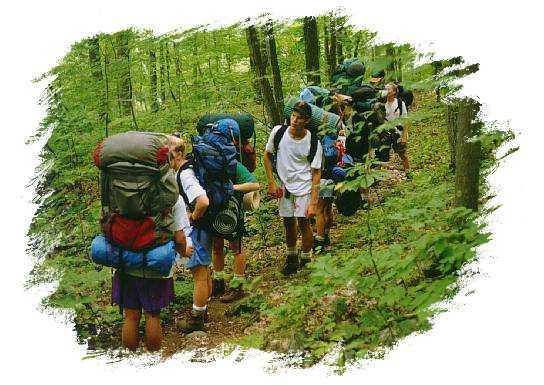 OA trips are led by students or staff who have gone through an extensive Leader Training Program. If you are interested in becoming an OA Leader, see the back of the newsletter for details about the OA Leader Training Program schedule for this semester. If you are interested in learning to rock climb, this 3-week course will teach you all the essential techniques of climbing, including tying in, belaying and specific climbing techniques like weight shifting, stemming, and laybacks. The course will meet at OA’s indoor Climbing Wall in the Armory. There will be a field trip to the Philadelphia Rock Gym at the end of the course. Fee: Students $70, faculty/staff $95, OA Leaders $40. Sign up at the OA TripStore. Tuesdays & Thursdays, 8 - 10 p.m.
Indoor Field Trip: Sun. 12/5, 9-5 p.m. 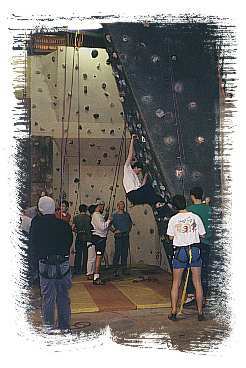 The Climbing Wall is an indoor rock climbing practice facility located in the Armory next to the football stadium. Climbers of all abilities are welcome. Experienced instructors are on hand to teach skills and assist in solving particular climbing routes. OA provides harness and climbing shoes. The Climbing Wall is open only to students, faculty, and staff of Princeton University. PUID required. Children of members of the University community may climb with a parent present. The Climbing Wall is open throughout the academic year except during breaks and ﬁnal exams. Sign up at the OA TripStore. Tuesday, Thursday, & Friday, 4:30 -6:30 p.m.
Monday & Wednesday, 8:00 - 10:00 p.m.
Winter is an excellent time to learn to Eskimo Roll in a warm pool. 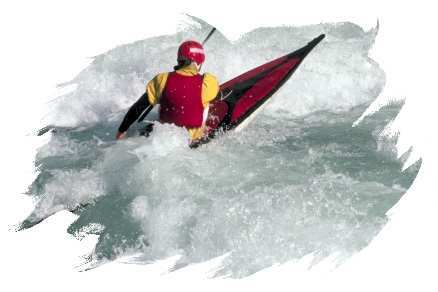 The Eskimo Roll is the act of righting a kayak if you flip and is an essential skill for many forms of kayaking. This Beginner’s Class will teach the Eskimo Roll and basic kayaking strokes. No previous kayaking experience required. Course fee: students $55, faculty/staff $70. Time: 7:30 p.m. - 9 p.m or 9 p.m. - 10:30 p.m. Dates: Sundays: Nov. 14, Nov. 21, Nov. 28, Dec. 5. Location: Dillon Pool.Sign up at the OA TripStore. Spend a beautiful fall day at the Princeton-Blairstown Center during Woodcutter’s Weekend on a community service project with Princeton University folks and members of the local community. Service projects include splitting and stacking wood, tree planting and trail maintenance. The center is located in northwestern New Jersey near the Appalachian Trail and Delaware Water Gap.You can come up just for the day on Saturday, Nov. 20, or for one or two nights. Lodging and meals are included at no cost. For more information contact Michele Kelly at 609-258-3340 or email: mmkelly@princeton.edu. Sign up at the OA TripStore. Weds., Dec. 1, 7 - 11 p.m.
Sign-ups for trips and courses are on the OA Tripstore on the Web. Students are billed to their University account. Faculty and staff must pay by check. If you have any questions, please call the OA Ofﬁce. This newsletter is published each semester to provide information about Outdoor Action’s upcoming trips and programs. The Outdoor Action Program (OA) is Princeton University’s outdoor experiential education program administered by the Princeton-Blairstown Center. For more details on OA activities see the OA Web Site. 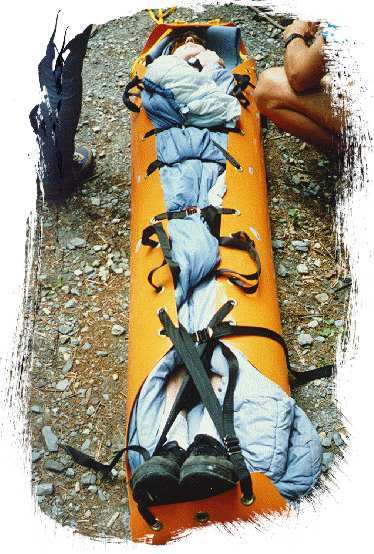 This 80-hour advanced first aid (WFR) course, taught by Wilderness Medical Associates, is specifically designed to emphasize the wilderness context - remote locations, severe environments, and simple improvised equipment. The course will cover patient examination and evaluation, body systems and anatomy, trauma care, environmental emergencies, splints, wilderness rescue, and backcountry medicine. This course meets 10 hours each day with morning lectures and afternoon skills practice including simulated rescues, daily quizzes and a final exam. Be prepared for some awesome outdoor first aid simulations! People who succesfully complete this course receive a three-year certification and are eligible to teach wilderness first aid on campus. The course will be held at the beautiful Princeton-Blairstown Center in northern New Jersey so you can get away from campus and enjoy the winter scenery. Fee: OA Leaders $300, students $400, faculty/staff $500 fee includes the course, transportation, food and lodging. 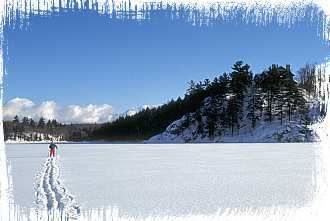 There is no better place in the east for cross-country skiing than Vermont. All levels of skiers are welcome from beginner to advanced; no previous skiing experience is required. Beginners will be taught the fundamentals of in-track cross-country skiing while experienced skiers can be off skiing on their own. Guests will stay in a rustic house in Rochester, Vermont, cooking their own meals, and skiing at some of the finest cross-country ski touring centers in the east. Trip fee includes transportation, meals, lodging, ski equipment, and trail fees. There is a $35 discount if you have your own skis. Fee: OA Leaders $195, students $225, faculty/staff $300. How Do I Become An OA Leader? Are you interested in leading a Frosh Trip for the Class of 2009 or leading other OA Trips during the year? Complete your Leader Training this spring! OA’s Leader Training Program is considered one of the most comprehensive in the nation and has been used as a model by schools across the country. In the Leader Training Program participants develop skills in leadership, group facilitation, outdoor safety, ﬁrst aid, and valuable wilderness travel skills. Don’t consider yourself outdoorsy? You don’t need to have any previous outdoor experience to become an OA Leader. We provide all the training you need to learn to lead and facilitate groups in the outdoors. We are looking for a diverse group of students, graduate students and staff who can provide leadership for incoming students. Upon successful completion of the program you are eligible to apply to lead OA trips. Over the past year Outdoor Action has been working on expanding the Leader Training Program. The goal is to provide leaders-in-training with all of the skills needed to effectively lead their own trips in the wilderness as well as lead Frosh Trips. We have developed a series of workshops to teach you all the essential skills of outdoor leadership. Below are the training requirements to become an Outdoor Action Leader. Many of these trainings are offered multiple times to allow ﬂexibility to ﬁt into your schedule. HEART (Health Education and Rescue Training)Wilderness First Aid is an intensive course that covers patient examination and evaluation, body systems and anatomy, wound care, splinting, environmental emergencies, and backcountry medicine. Hands-on simulations provide ﬁrst-hand training in treating patients. This is an excellent course taught by experienced Wilderness First Responders and Emergency Medical Technicians and is highly recommended to anyone traveling in the outdoors. Adult CPR certiﬁcation by American Heart Association and American Safety & Health Institute Wilderness First Aid certiﬁcation is included for all those who successfully complete the course. This class fulﬁlls the First Aid requirement for OA Leader Training (other ﬁrst aid courses do as well, contact the OA Ofﬁce for more information.) Fee: $89 leaders-in-training, $100 students, $120 faculty/staff. Facilitating positive group interaction and teamwork requires excellent listening and observation skills and a set of activities and techniques to guide people through personal growth and development. This workshop will train OA leaders and others who work with groups in speciﬁc techniques for effective team building and group facilitation through fun games and activities.. This is a hands-on, experiential workshop. Be prepared to have fun! One of the greatest challenges of being a group leader is learning how to lead and motivate a group, and how to use group experiences to promote self-exploration and learning. This workshop is designed to teach OA leaders and others how to effectively lead groups. This is a hands-on, experiential based workshop so be prepared to be active. Leading a group on a backcountry trip requires extensive training in wilderness camping skills. The Leader Training Course (LTC) is designed to teach all the wilderness skills necessary to lead multi-day backpacking trips. The course meets one evening a week and includes workshops on route planning, equipment preparation, wilderness travel techniques, map and compass, outdoor cooking, and minimal impact camping. Trip participants will learn how to run a wilderness trip by planning all aspects of the trip, including route, food, and equipment. Participants are required to attend all classes. The text for the course will be the Backpacker’s Field Manual, written by Rick Curtis, Director of Outdoor Action. The ﬁnal part of OA Leader Training is the Leader Training Trip, a 6-day backpacking trip which pulls together all of the skills you have been learning all semester. During the trip participants will be Leaders-of-the-day and in charge of the group practicing skills. Trips: OA offers trips over Intersession in January and “Dead Week” after ﬁnals in May. The Intersession trip will be traveling to a warm location (to be determined). The extra travel time will mean that the trip will take up all of Intersession. OA Leaders are strongly encouraged to become authorized van drivers. You must complete an online course and quiz on driving mini-vans. Drivers must also complete a 30-minute road test. To gain access to the online course and schedule a road test see the Public Safety Web Site (http://web.princeton.edu/sites/publicsafety/FleetSafety.htm).